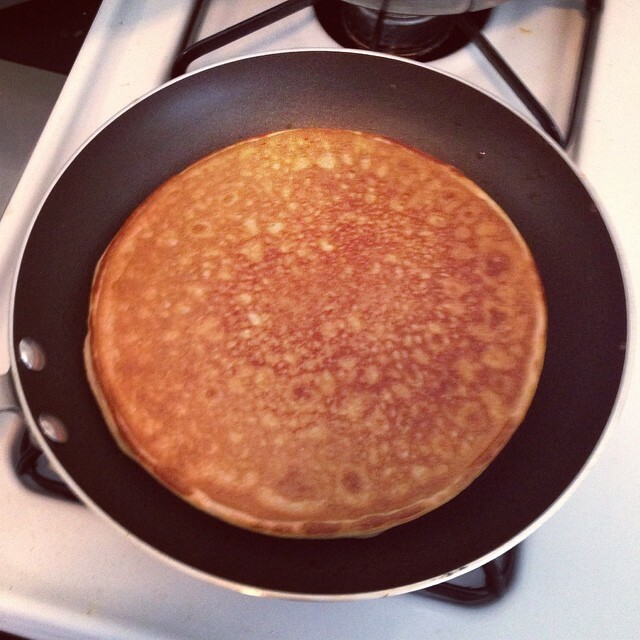 I am not going to lie, I have had more failures that success when it comes to protein pancakes. The consistency just never turned out right. Finally, I am on to something! I have had great success twice in a row now which is more than I ever had in the past! Blend all ingredients. Cook on griddle or frying pan. Makes 2 large delicious protein packed pancakes. Top with natural sweets like berries, nuts, peanut butter, and real maple syrup!